In order to use Guides, you will first need to enable Rulers on your canvas. 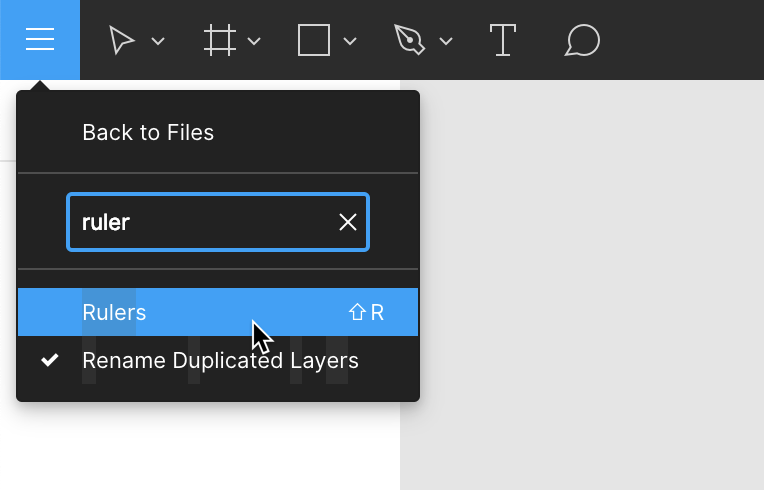 You can do this with the Shift + R keyboard shortcut, or by clicking the menu icon in the upper left corner of the Editor and searching for “Rulers”. 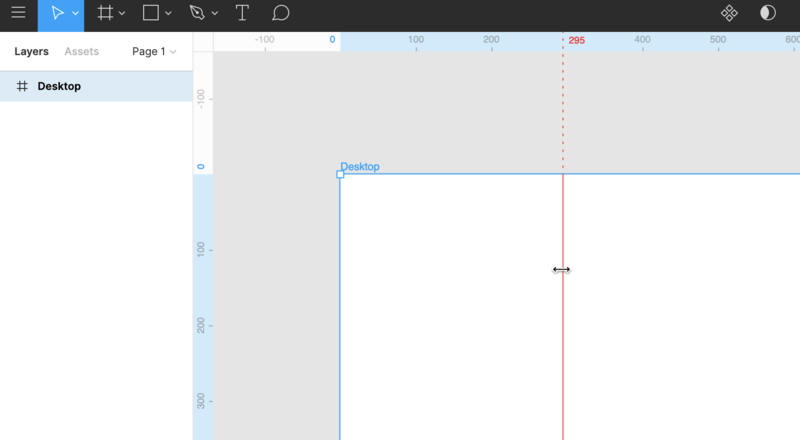 Click and drag on the horizontal and vertical rulers to pull guides onto your canvas. Figma has both Canvas and Frame level Guides for positioning and aligning objects in your designs. The dotted line acts as visual indicator that your guide is intersecting with a frame on the canvas. With a top level frame selected, hold Option (on Mac) or Control (on Windows) as you click and drag out a guide. You will see the distance (in pixels) between your guide and the frame. This distance is also reflected in the ruler. When the guide intersects your frame it will begin measuring distances between the guide and objects in the frame. In addition, with a frame selected the rulers highlight in blue, calling attention to the coordinates of the frame on your canvas. When you select objects in the frame, you'll see the same blue highlights for the selected object. Guides inside frames are recognized as another object in the frame. This means you can view redline distances between the guide itself and other elements in the frame, as well as the parent frame. Check out our blog post about Guides as well.